You can get this shirt in the Sanquon Webstore. 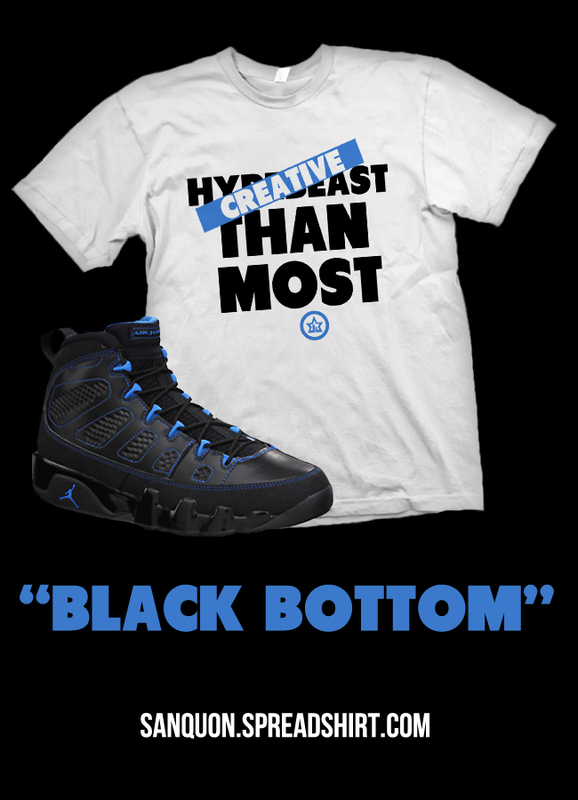 In the latter half of 2012, Jordan Brand’s retro releases of the IX included a predominately black “Photo Blue” version. While that release entailed a two-tone outsole, numerous pieces were also produced with an incorrect, “Black Bottom” outsole. Despite no inherent manufacturing flaws, they were immediately deemed “B-Grade” for their inability to match up with the original color code. 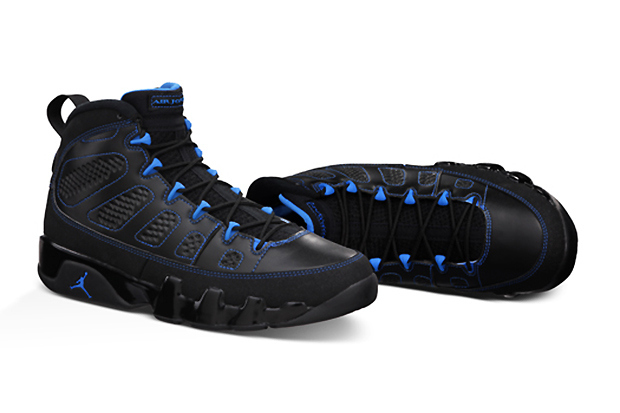 But rather than destroy a perfectly fine run of footwear (…or send them to outlets), Jordan Brand will release the “Black Bottom” Jordan 9 Retro on May 9, 2013 with a suggested retail price of $130 USD. They will be available exclusively via Nike.com through a link provided via the @NikeStore Twitter account.